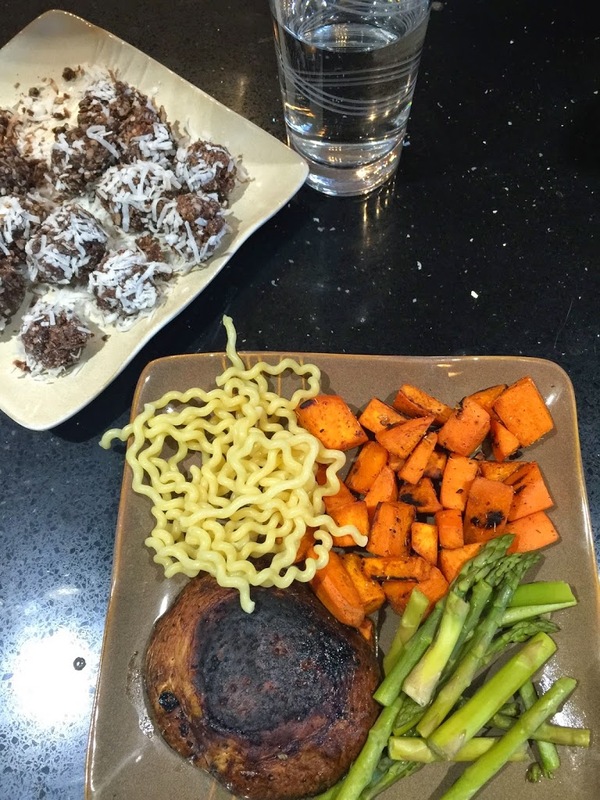 I’m sure I’m not the only one who dreads cooking. Why?! Well it’s time consuming for one! And to be honest, I’m just not that gifted at it. I get distracted and before I know it, when I’m only halfway through my 5th email, my mashed potatoes are burning and I’ve just ruined my new All Clad saucepan. True Story, this just happened to me this week! Ugh. I may have also been watching “The Walking Dead” while cooking and checking emails too. Hey, I’m a woman! I multi-task! 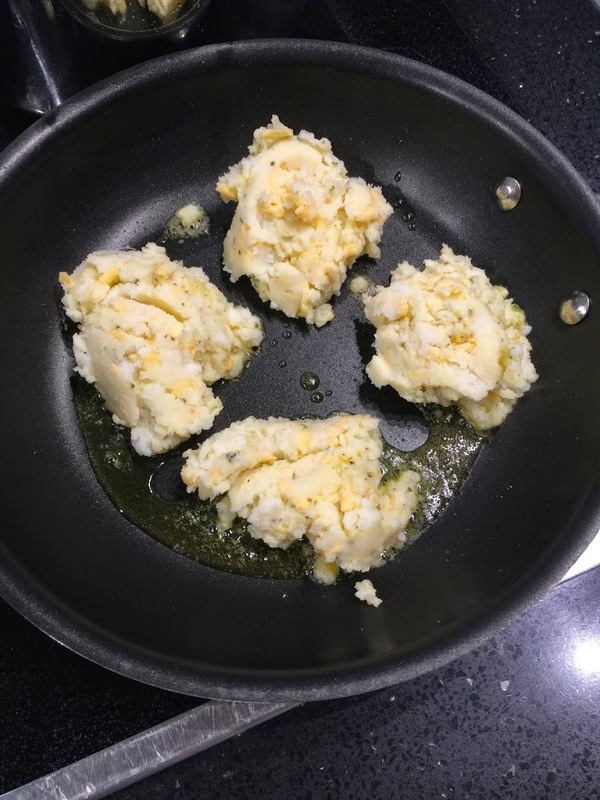 Things just don’t always end up perfect because of this awesome, or maybe not so awesome skill, and of course it’s my cooking that generally suffers! This is why I was EXTREMELY happy to come across the most AMAZING E-cookbook for super easy recipes that are made in no more than 15 minutes! In fact, most I’ve tried only take a few minutes, and cooking time includes less than 15 minutes too so you won’t find your self distracted watching your favorite show while you’re supposed to be cooking! Also, being that I am a vegetarian, this cookbook couldn’t have been more up my alley! But trust me on this ladies, even if you and you’re family still eat meat, this is a fabulous cookbook for easy cooking that is sure to please even the biggest meat-lovers in your family! Trust me on this, I cooked a bunch of these recipes for my husband who is constantly giving me crap about being vegetarian, and he absolutely loved every one of these recipes I cooked! I didn’t even add a meat side for him most of the time and he didn’t even seem to mind! If you actually don’t know much about being a vegetarian, this e-cookbook, called “Under 15 Minutes Vegetarian Quick and Easy Recipes” By Jonathan Vine, breaks it all down for you. I love how incredibly informative it really is and how it shows you the benefits of eating a meat-free diet. It also addresses concerns you may have (ones that I had before switching to a vegetarian diet 5 years ago) about cutting out meat. Vine also gives you some great tips for helping you stick to your goals of becoming a vegetarian too, if you so choose. Wether you want to give up meat or not, I found this section of the book extremely helpful in educating on the benefits of eating a meatless diet. Well let’s get to the good stuff! The recipes! I have tried out SEVERAL of the recipes in this wonderful e-book over the last month and have absolutely LOVED every one of them! So has my husband! You can find fabulous recipes that the whole family will enjoy in this cookbook, and best of all, you will be amazed at just how quickly you can throw dinner together now! Most of the recipes I tried out only called for a few ingredients too. Only a few minutes of prep work, and not very long for cooking. It really is 15 minute or less cooking. From beginning to end, the food is cooked in 15 minutes! These recipes make great last-minute dinner ideas, but are also great for anyone who just doesn’t want to spend their whole evening cooking. 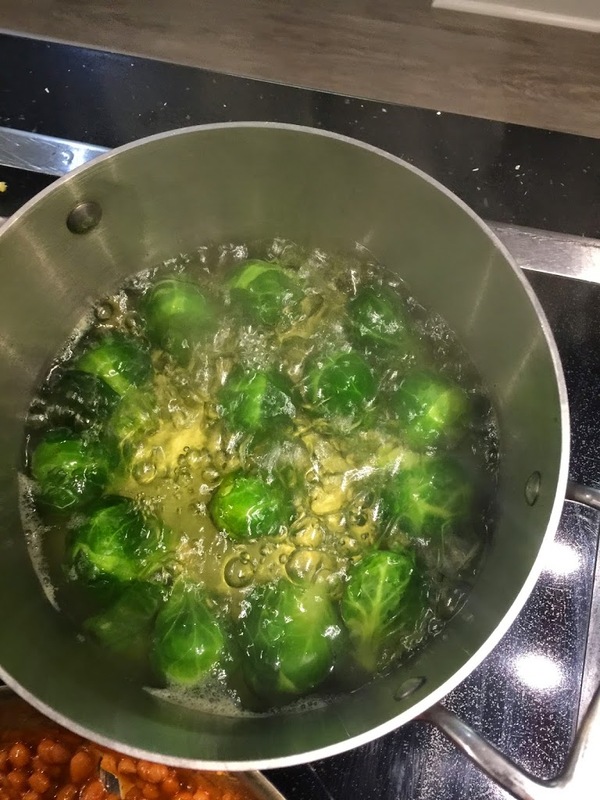 I often cooked a few together at a time so I had a couple of yummy meals for dinner that night, such as potatoes and brussel sprouts! These are just some of the recipes, but you will find 100 RECIPES in this awesome cookbook! This totally takes the guesswork out of finding something meatless to eat for dinner. Not only that, but you’ll never have to slave over that hot stove again, since all of these recipes can be prepped and cooked under 15 minutes! And the food? Mmmmmm the food! These recipe were so good! My favorite was the Sweet Potato Thyme Hash. In fact, my husband hates sweet potatoes. I’ve been cooking them for years, usually in the form of baked fries, because I love them, and he won’t eve touch them! He tried a bite of the Thyme Hash bites and raved about how good they were! 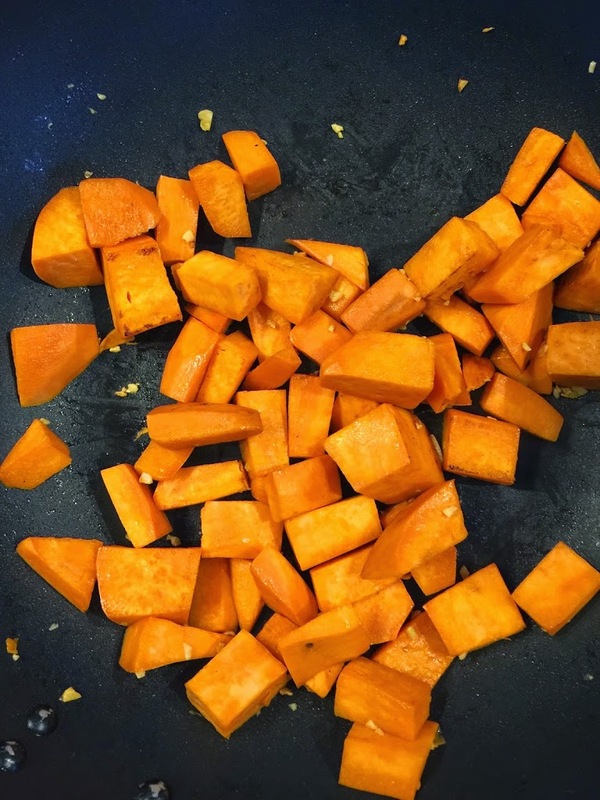 He told me they were much different and much BETTER than the normal sweet potatoes I cook. He then proceeded to fill up his plate and even went back for seconds! 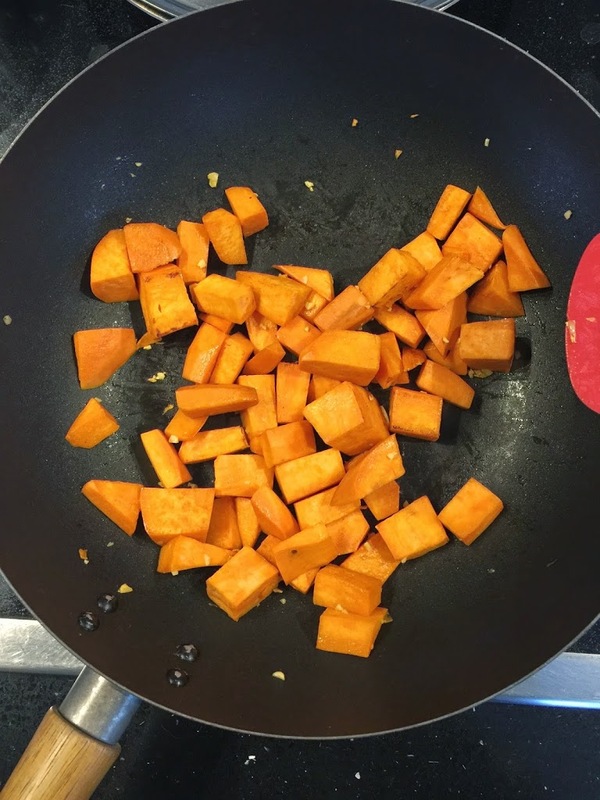 I about fell over in my seat because he is the pickiest eater anyway, and for him to actually like Sweet Potatoes… well that just absolutely shocked me! You can find lots of breakfast, lunch, dinner, snack, and dessert recipes in this cookbook too! If you are switching to a vegetarian diet, this is the prefect cookbook to help you make you’re move! When I switched to a vegetarian diet I had no idea where to start. I kind of just kept making the same recipes but without the meat. This isn’t a good place to start. It makes you feel like you’re missing out, because you’re use to eating the meat in those dishes! This cookbook helps give you some amazing ideas for meals that are NOT centered around meat, so you don’t even notice you’re not eating it! Like I said above, my meat-loving husband did’n’t even seem to notice or mind that some of the meals I’ve cooked over the last month were completely meatless, All thanks to this amazing cookbook! Also, if you just plain struggle with cooking like I do, you will also love this cookbook because it is made for the most beginner of cooks! These recipes are so easy you can teach your kids how to cook with this book, or at the very least, have them give you some help in the kitchen! Although not that you really need it when using this cookbook, because the recipes are so completely easy and totally time-saving enough already! I can go on and on about how amazing this book is but you really need to try it for yourself! 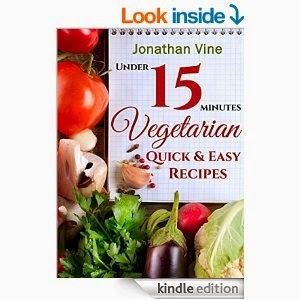 It is full of wonderful recipes the whole family will enjoy, wether they love their meat or not. You will also love how much time it saves you and how much less effort you will need to put into your cooking when using this awesome recipe book! The food is to die-for! I can’t go on about that enough! Again, pick it up and try it for yourself! You will be amazed! Interested in trying out this amazing Quick and Easy vegetarian ebook out for yourself, and saving your self time while cooking too?! Then be sure to order it HERE on Amazon. It’s only $2.99 Right now or FREE if you have Kindle Unlimited! What’s your favorite super easy recipe to cook? And do you mind sharing the recipe with us? I love to Read your comments! Happy Healthy, Quick and Easy Cooking! * I was given this product from Tomoson for the purpose of review. However, all thoughts and opines expressed in this post are solely my own. I only share reviews with my readers, I feel will be beneficial or informative in some way. Those potato pancakes look delish!!! I’m Not A Vegetarian, but I Love Quick and Easy Recipes and These seem Great!! I don’t enjoy cooking so this is perfect for me! :)) Thanks for sharing, will certanly give them a go! It seems a good cookbook. 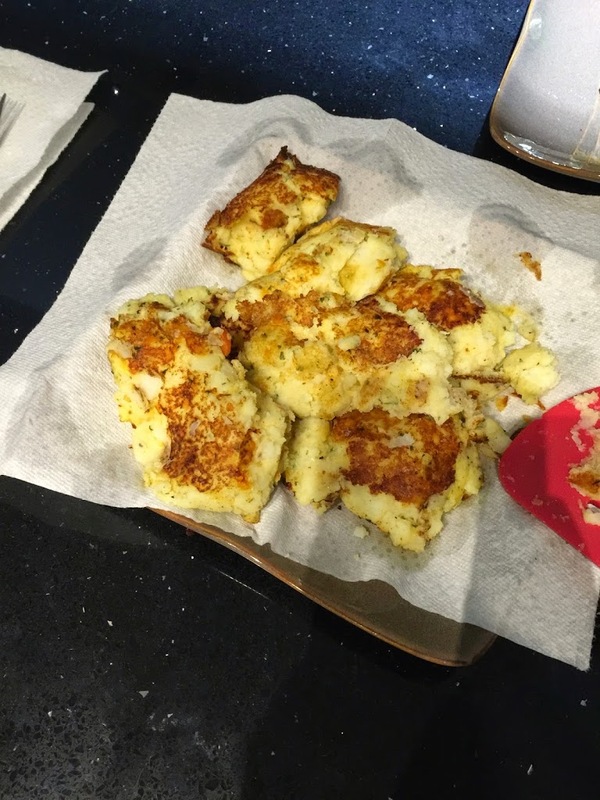 My mom always made potato pancakes with leftover potatoes. These recipes are perfect, they’re all fast ans easy. 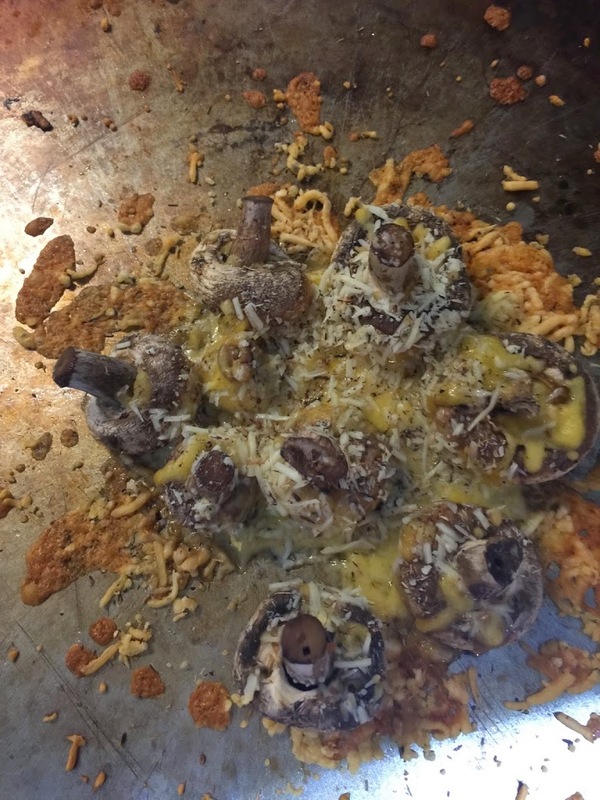 I’d love to try the Date and Coconut Bites and the Cheesy Mushrooms. Thank you for sharing this post. Need to buy this book and try some recipes! A healthy tips for us..Thanks for ssharing Ms.Cindy! I love this kind of food !! 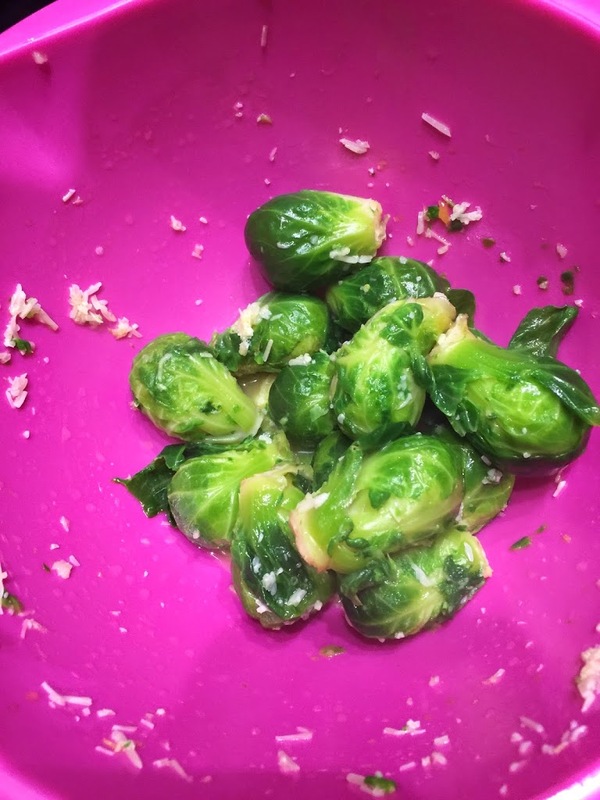 Poached Brussel Sprouts with Parmesan Topping sound really good. i like that the recipes are all quick and don’t take long to prepare. That’s so important for a busy mom. 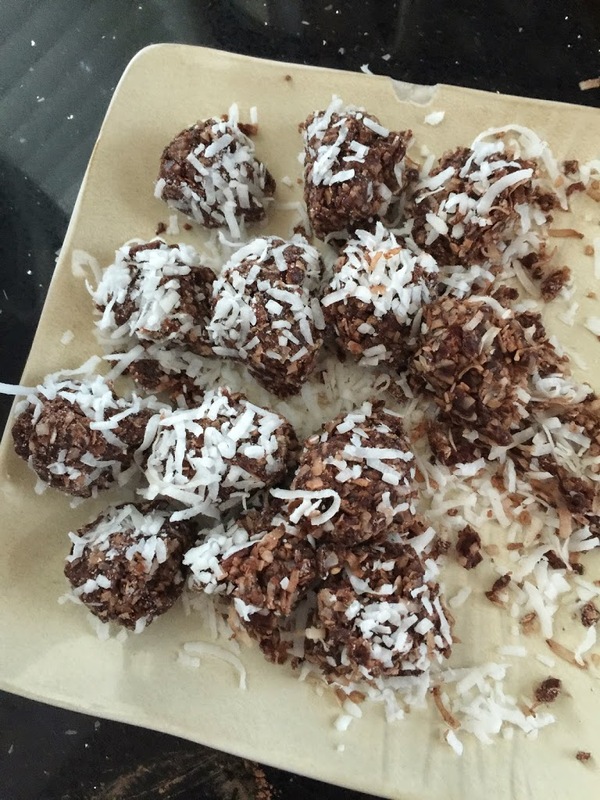 I do coconut bites for the entire spring season, I love them…And I’m vegetarian, so I already knew a few of these recepies, but I’m in constant look for inspirations! Yum, the Poached Brussel Sprouts with Parmesan Topping looks good too, I’d love to try those as well. 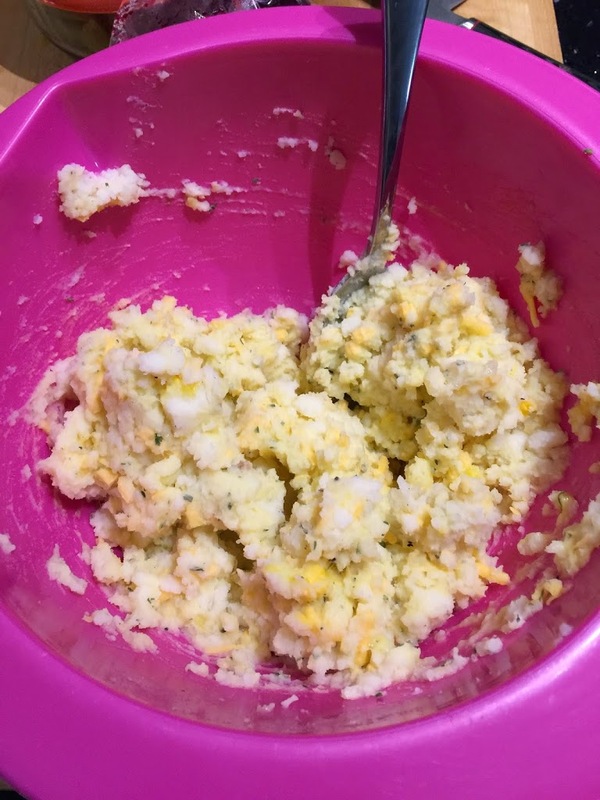 I love quick and easy recipes ! Every vegetarian recipe I’ve attempted has taken around 45 minutes or more. This is super interesting! I am not a vegan but I love vegetables and do a lot of stir frying of different veggies together along with spices. Awhile ago I wanted to try something new and I came across a great recipe for Fall Vegetable Curry @ http://www.myrecipes.com/recipe/fall-vegetable-curry. A must try. This looks great! It would help me to eat a little healthier! I think I need to come over for dinner. That food looks amazing. I am not vegetarian but my mother and I mostly eat vegetables and these look so good! I love this. I like to do “meatless Mondays” so this would be awesome for getting new ideas. Don’t think I could go totally meatless. I admit I need more veggies. Some of the recipes you showed look interesting.